Ukraine International Airlines (UIA) has successfully completed its medium-haul fleet expansion plans for this year. 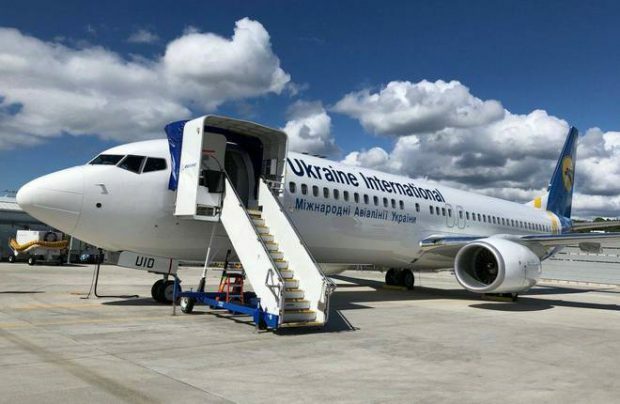 With the arrival of another new Boeing 737-800 yesterday, Ukraine’s flag carrier has added four -800s this year, brings its B737NG fleet total to 30 airframes. The latest addition, as well as two previously delivered B737-800s, are brand new units, straight from the manufacturer. The last two were financed through Chinese lessor CDB Aviation Lease Finance, marking the carrier’s first partnership with a Chinese financial institution. The latest aircraft, sporting tail number UR-UID, and which is configured with 186 seats in a two-class layout, will enter commercial service before the end of this month and will be operated across UIA’s medium-haul network, as part of previously announced plans to replace the airline’s B737 classic fleet and develop new international, medium-haul services. “This year, UIA plans to phase out the last three of its Boeing 737 Classic models,” insists Evgeniya Satska, UIA’s communications director. UIA has taken delivery of six aircraft over the past five months: two wide-body long-haul B777-200ERs and four medium-haul B737-800s. During the Q2 to Q3 period of 2018, UIA expects to receive two more B777 wide-bodies and two Embraer E195 short/medium-haul jets. Ukraine International Airlines’ fleet now consists of 44 aircraft. The company’s traffic target for this year is 8.2 million passengers, a 17 per cent increase on 2017.